Most people associate ‘malnutrition’ with simply not having enough money to buy nutritious food. The image that comes to mind is of an impoverished family only being able to afford a loaf or two of bread or a sack of potatoes. However, what if the issue wasn’t a lack of funds so much as a lack of availability? What if the only fresh fruits and vegetables were at least an hour’s drive away? 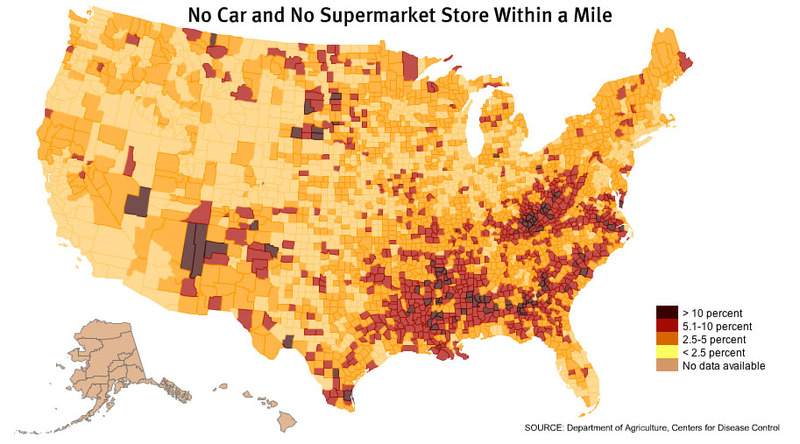 Welcome to the horror of food deserts: generally low-income areas – urban or rural – that lack sources of fresh, healthy food. Rather than being peppered with grocery stores and markets to sell nutritious foods, these areas tend to be filled with fast food joints and convenience stores that only stock packaged and processed goods. Families are forced to derive their nutrients from boxed mashed potatoes, the scant lettuce and tomato slice on a burger, and fruits canned in corn syrup. Unsurprisingly, people stuck in food deserts are likely to develop obesity and/or diabetes due to their diets’ lack of nutrients and high sugar, salt, and fat content. I’m surprised that I’d never come across this term until last winter, when I was reading Tracie McMillan’s The American Way of Eating: Undercover at Walmart, Applebee’s, Farm Fields, and the Dinner Table. Sure, I’d passed through plenty of bleak towns where the only restaurants were McDonald’s and Dunkin Donuts and there were no grocery stores in sight; but I had never actually considered what it must be like to live in those places. 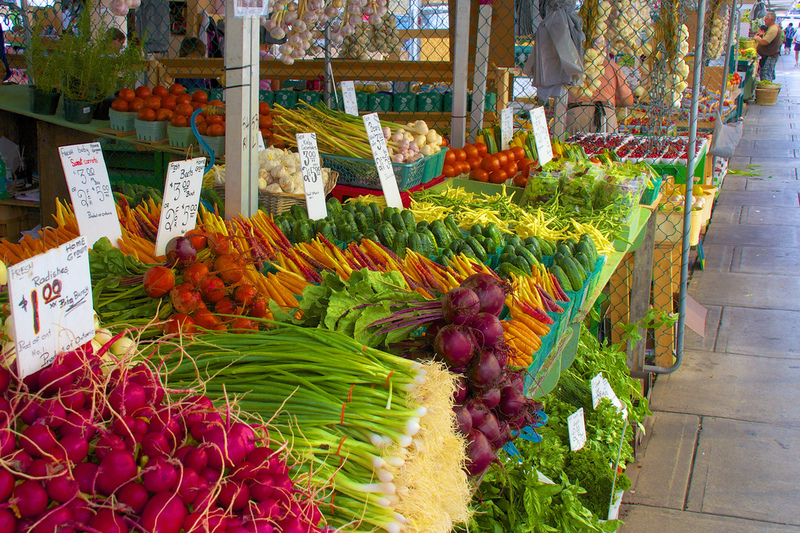 I’ve always been fortunate to have access to at least one grocery store with fresh products, not to mention higher-quality restaurants and organic markets. When promoting all of the benefits of eating both healthily and sustainably, it’s easy to lose sight of the fact that nutrition is, in some unfortunate places, a commodity. Not everyone has the garden, time, or knowledge to, for instance, grow their own vegetables, which would otherwise be my first recommendation to someone without a fresh produce source. Even cooking from scratch with unpackaged ingredients has become a luxury. There are glimmers of hope, at least, in the growth of the sustainable food movement and the continuous spread of nutrition science, both of which have called attention to the food desert problem. Food is Power’s page about food deserts describes how some American communities have demanded change, such as by launching fresh food co-ops or setting a limit on the number of fast food restaurants. There have also been reports from various regions of the UK analyzing the problem and suggesting solutions. This Thanksgiving, remember to be grateful if you can buy an organic turkey, roast fresh butternut squash, or even mash your own potatoes. Recognize how precious good food is.